Congenital generalized lipodystrophy type 4 (CGL4) is a rare disease caused by mutations in the gene polymerase I and transcript release factor (PTRF), the main symptoms of which are systemic reductions in adipose tissue and muscular dystrophy. The strategy of treating CGL4 is to improve the insulin resistance and hypertriglyceridemia that result from systemic reductions in adipose tissue. Metreleptin, a synthetic analog of human leptin, is effective against generalized lipodystrophies; however, there are no reports of the use of metreleptin in the treatment of CGL4. Herein, we discuss the treatment of a six-year-old boy diagnosed with CGL4 due to a homozygous mutation in PTRF with metreleptin. His serum triglyceride level and homeostasis model assessment of insulin resistance (HOMA-IR) value decreased after two months of metreleptin treatment. However, the efficacy of metreleptin gradually decreased, and the treatment was suspended because anaphylaxis occurred after the dosage administered was increased. Subsequently, his serum triglyceride level and HOMA-IR value significantly increased. Anti-metreleptin-neutralizing antibodies were detected in his serum, which suggested that these antibodies reduced the efficacy of metreleptin and caused increased hypersensitivity. Thus, metreleptin appeared to be efficacious in the treatment of CGL4 in the short term, although an adverse immune response resulted in treatment suspension. Further studies are needed to evaluate metreleptin treatments for CGL4. Infantile hepatic hemangioma (IHH) can be accompanied by consumptive hypothyroidism. 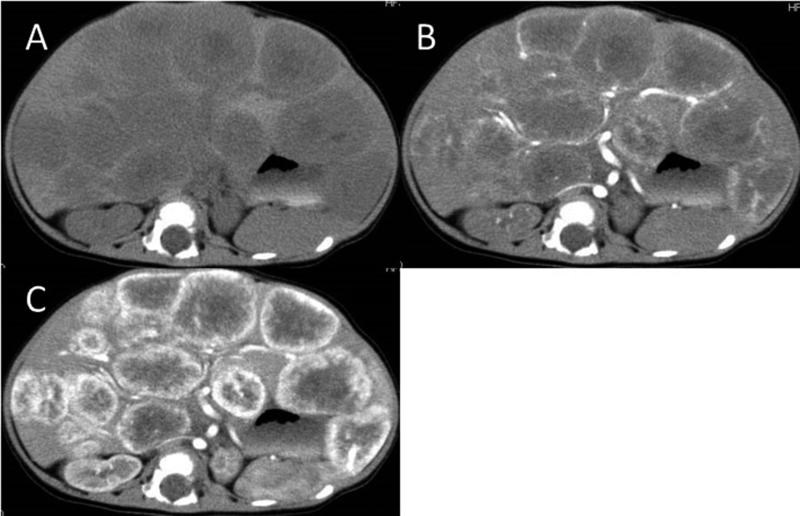 We report the case of a 4-mo-old boy who showed massive hepatomegaly, peripheral coldness, lethargy, and failure to thrive. 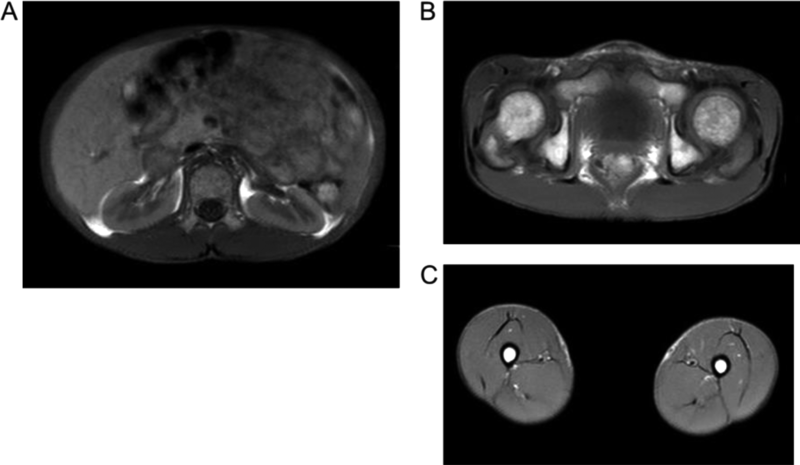 An enhanced computed tomography scans demonstrated multiple hemangiomas in both lobes of the liver, and a thyroid function tests showed severe hypothyroidism: TSH 561.5 µIU/mL, free triiodothyronine (fT3) 1.0 pg/mL, and free thyroxine (fT4) < 0.7 ng/dL. IHH gradually regressed following propranolol treatment and fT4 increased to a low normal level (1.0 ng/dL) by high dose replacement of levothyroxine, while fT3 remained very low (< 1.0 pg/mL), even following high doses of levothyroxine; fT3 eventually normalized following the administration of liothyronine. We suggest that treatment strategies should be individualized based on thyroid function, and that the combination therapy of propranolol for anti-tumor treatment and levothyroxine and liothyronine for respective thyroid hormone replacement is effective, particularly in cases of severe consumptive hypothyroidism due to multiple IHHs.